Have you ever wondered how professionals earn the experience and qualifications for top notch roles? Are you interested in growing in your current role or preparing for the next step next in your career and don’t know how to get started? If you answered “yes” to either of these questions, this session is right for you! This summer, Jaclyn Corcoran, Manager of Learning and Development with Liberty Property Trust, will discuss professional growth and career development. In an interactive session, Jaclyn will share her professional journey including the opportunities she pursued and created to continuously grow within her organization. She will discuss appropriate timing, skill development, professional resources, personal and professional investments, highlight the importance of both lateral and vertical career growth, and help you navigate through your own professional journey. Register today, we look forward to seeing you in July! 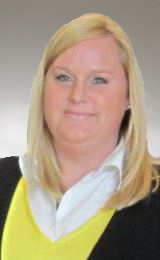 Jaclyn Corcoran is manager of learning and development at Liberty Property Trust. Ms. Corcoran is responsible for overseeing the implementation of Liberty’s learning & development strategy; developing and facilitating instructor-led and web-based programs on topics such as leadership development, performance management, and career development; and partnering with subject matter experts and business leaders for knowledge sharing and talent development. Ms. Corcoran holds a Bachelors of Science degree in business administration and marketing from Clarion University and a Masters of Education in instructional systems from the Pennsylvania State University. She serves on the Board of Directors for the Greater Philadelphia Chapter of the Association for Talent Development as immediate past president where she acts as an advisor to the president and board of directors for the implementation of key initiatives and achievement of the organization’s goals. Ms. Corcoran resides in Gulph Mills, Pennsylvania with her husband.